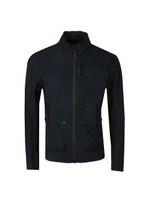 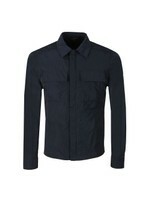 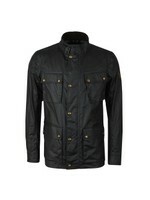 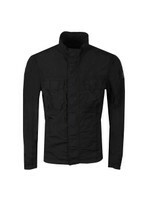 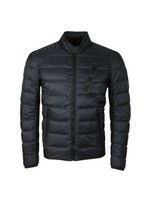 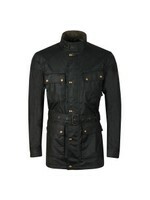 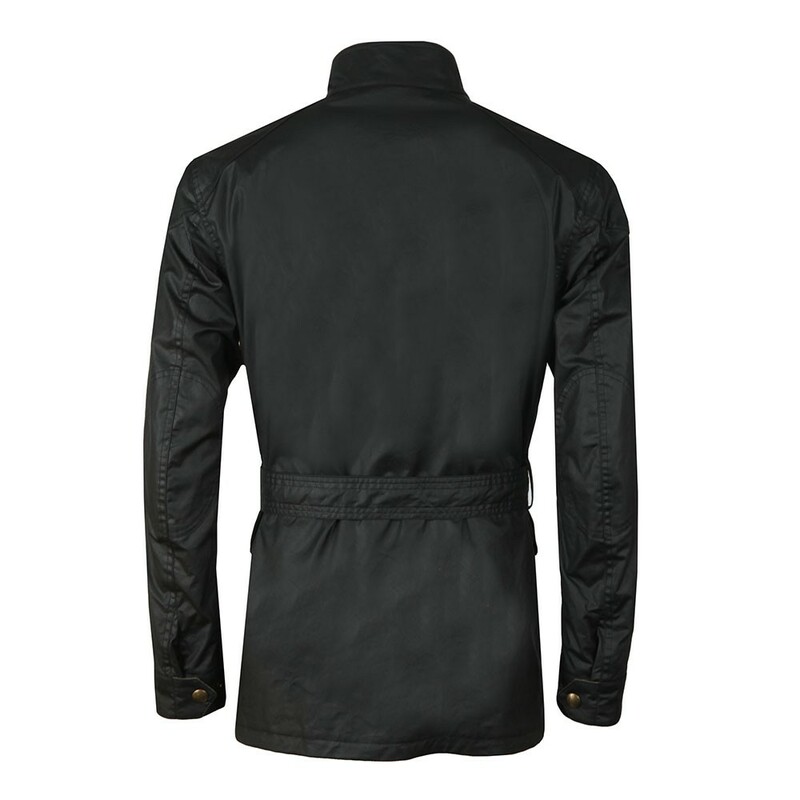 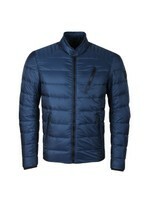 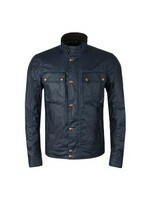 Belstaff Trialmaster Wax Jacket in Black. 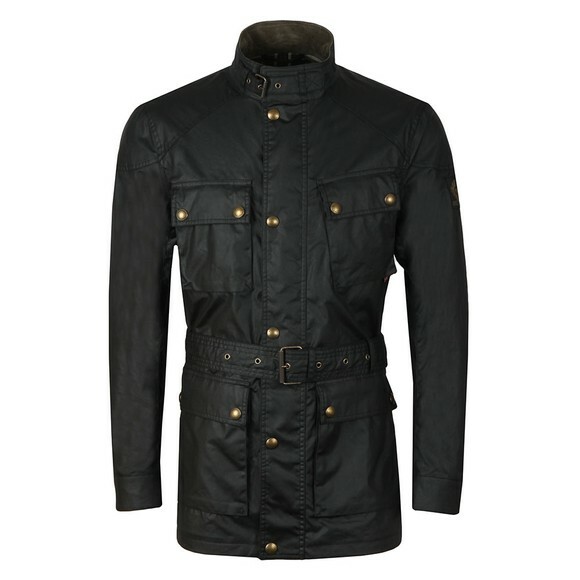 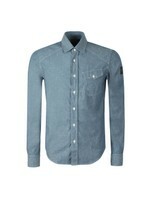 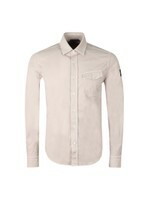 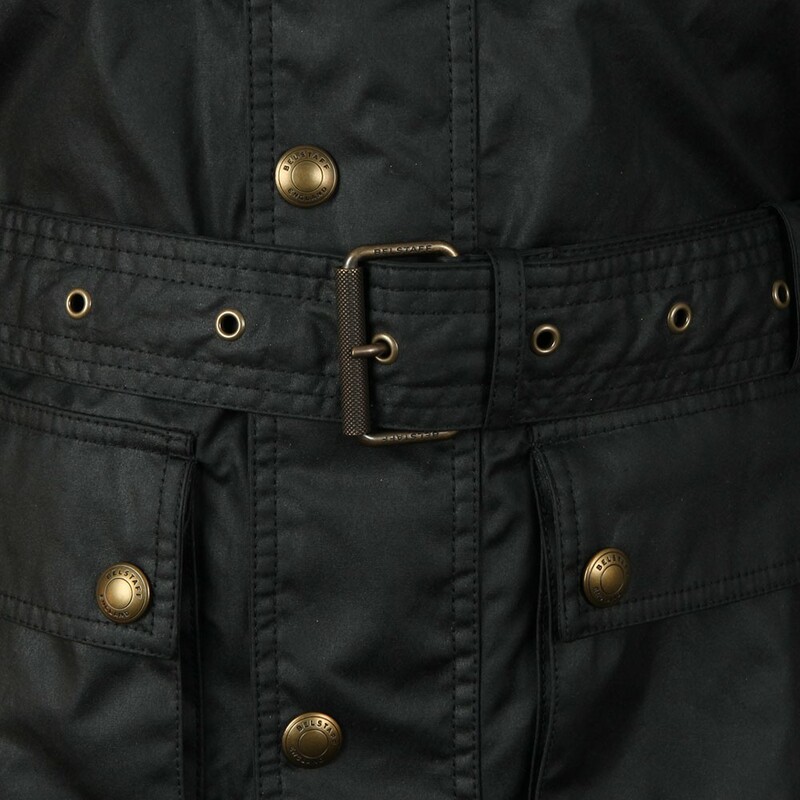 A timeless design that Belstaff have used for over 70 years. 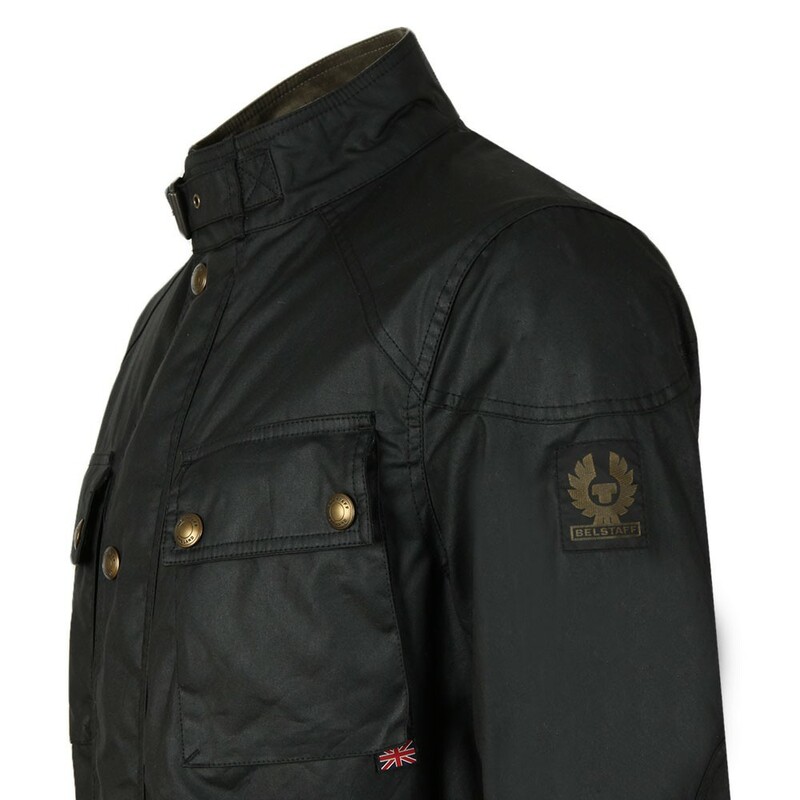 Created with classic trial bikers in mind, this jacket has reinforced elbow and shoulder patches, a front zip cover placket and easy access utility pockets. 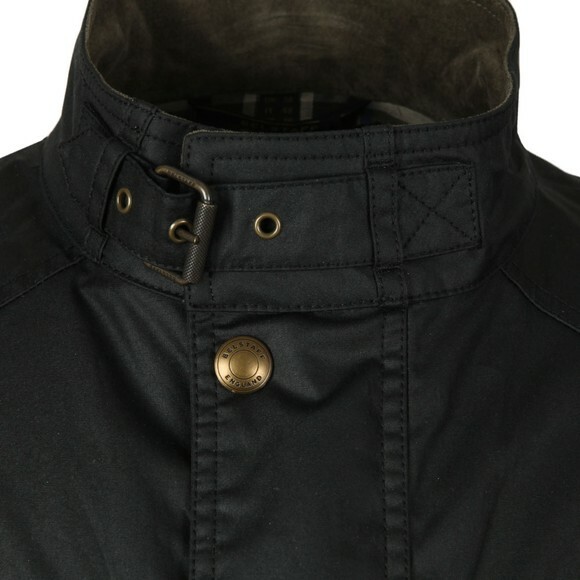 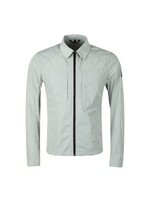 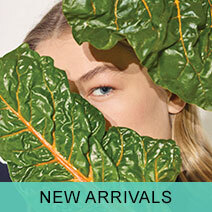 The mandarin collar and neck buckle add a simple detail. Finished with Belstaff's iconic Pheonix logo badge to the sleeve.